Where’s this pole been all my life? 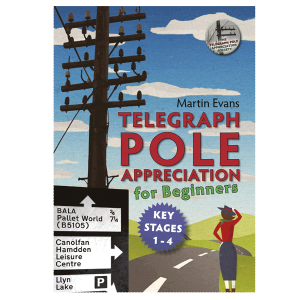 ; Tom Grimes – whose address at any one time can best be written as “A Canal, Somewhere, UK” – submitted this latest Pole of the Month. Tom chugs his way around the waterways of Britain pausing only to read The Telegraph Pole” by W.H. Brent, B.Sc. (Hons.) A.M.I.E.E. This iconic bridge/pole hybrid can be found where the A519 crosses the Shropshire Union Canal near Norbury, Staffs. High Bridge No. 39, aka Telegraph Bridge carries probably one of the most photographed poles in the country – at least by canal boatsfolk.